﻿ Banyan Tree Bangkok (Thailand) | FROM $162 - SAVE ON AGODA! "Great rooms, good location and friendly staff." Have a question for Banyan Tree Bangkok? "The massage, the rooms, the facilities and the service were amazing." "The staff are exceptional in every aspect." 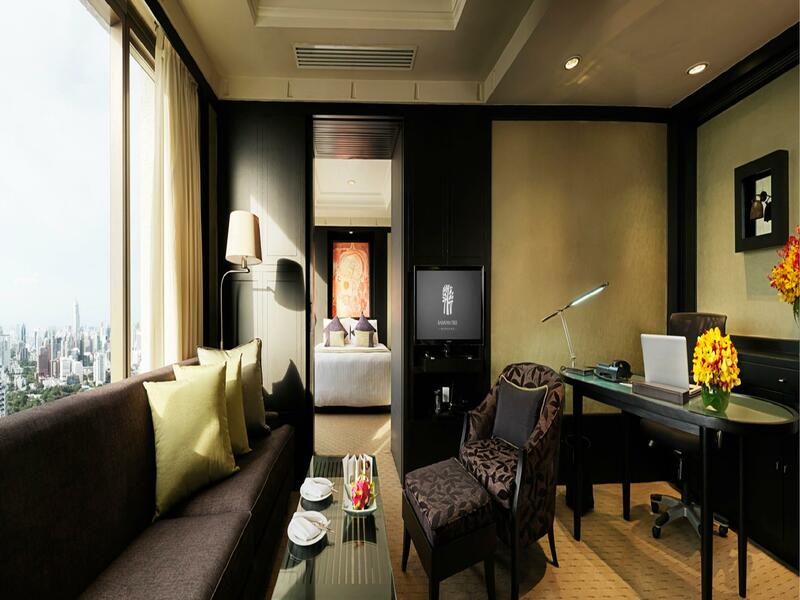 Enjoy a 5-star holiday and spend your down time being pampered at the Banyan Tree Bangkok. 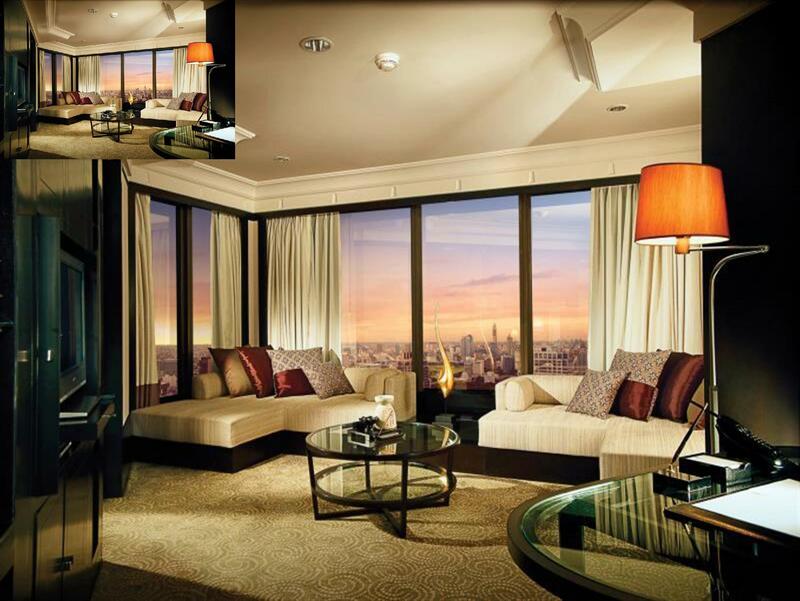 The rooms here overlook the city, giving you beautiful views of the area. This property is near landmarks and attractions such as Surapon Gallery, Bangkok CityCity Gallery, Red Bull X Park, St Andrews International School Sathorn Campus, and Goethe Institut. From a bar to a poolside bar, it offers a selection of dining and snacking choices. It offers family rooms, so you can spend quality time together throughout your stay. The Banyan Tree Bangkok has a kids club, giving your little ones a secure place to hang out and meet other children. With tours available, it is a great place to stay to learn about the area. At the wonderful massage facilities, you can spend a few hours treating yourself to some pampering. The property has a fitness center, a nightclub, an outdoor swimming pool, a garden, and a sauna among other great facilities. With safety deposit boxes, a salon, a convenience store, an infirmary, as well as a selection of shops, it provides several convenient features to make your stay more comfortable. 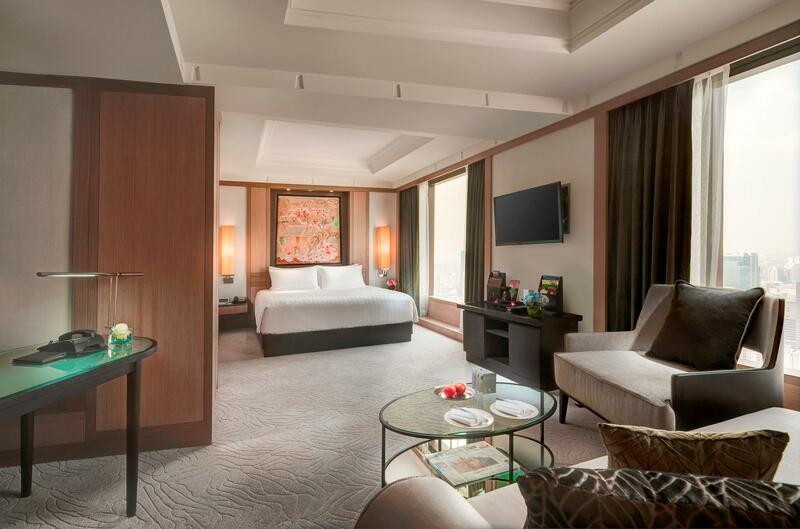 The Banyan Tree Bangkok has air conditioning, an alarm clock, a hair dryer, and bathrobes. It also has an in-room safe box, a bathtub, ironing facilities, a shower, and more. There's free Wi-Fi available in all rooms, as well as Wi-Fi in common areas, ensuring that you are always able to contact your loved ones. From dry cleaning services to a babysitting service, the Banyan Tree Bangkok has a number of useful services for you to utilize. The property accommodates pets, saving you the trouble of finding a pet sitter while you're out of town. The front desk is open around the clock, so there will always be a member of staff around to answer any questions that you have. English, French, Thai, Cantonese, Japanese, and more are spoken at this location. 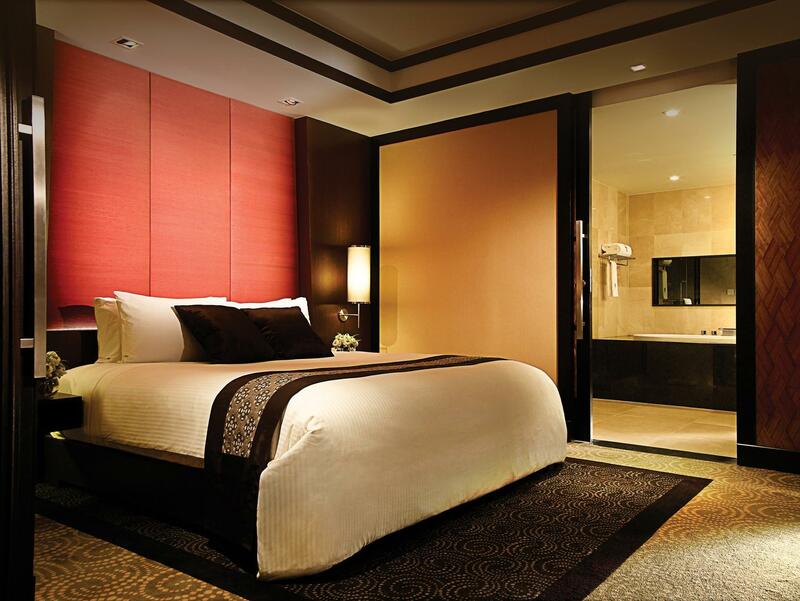 The Banyan Tree Bangkok offers check-in from 02:00 PM and check-out until 12:00 PM. This property features express, private, and 24-hour check in and check out, so you can use the service that best suits you. It offers an assortment of transport options, such as airport transfers, car rentals, shuttle services, and taxi services. Lumphini MRT Station is 660 m away and Sala Daeng BTS Station is 880 m away. Stay at the Serenity Club Room this time. Good and new room. Great happy hour and breakfast at 19F. I had made some special requests to Banyan Tree since it was my wife's birthday and the hotel exceeded my expectations. Special thanks to Mr. Saran Saohong for making things perfect for us and also the Vertigo Too team for reserving the best sitting area for the dinner reservation. We would love to come back. Very nice hotel with very friendly stuff and a lot of facilities, big nice room only bed could be a bit bigger and a bathroom need some refreshment. This is a true 5 Star Hotel. It is the staff that makes the difference. They were extremely helpful and attentive to every request. I had the one bedroom suite and it was very nice. They also have some very good restaurants in the hotel. I highly recommend the Vertigo on the roof top. It is a bit pricy, but worth the view if you want something to remember. While you are on the Roof Top also go over and check out the Moon Bar. I can't imagine a better place to enjoy a glass of you favorite beverage. I also dined at Saffron on the 52 floor. It was an upscale Thai cuisine restaurant. Saffron also has a nice outside Bar adjacent to the restaurant. If you are looking to have an all around wonderful experience in a Bangkok Hotel, look no further. It is the staff that makes the difference here. The most friendly and attentive I have experienced anywhere. The facilities are great. Very clean. The Resturant Vertigo is a bit pricy, but worth the roof top view. Also be sure to check out the bar on the 52nd floor out side the Saffron Restaurant.I travel a lot all over the world and stay at some of the best hotels and I can say that this hotel is among the top of my list. Highly recommend when you travel to BKK. we took the executive floor and did not leave the hotel for 2 days just to unwind, food and spa was great.. so it was perfect for what we needed. As a base for discovering bangkok (sights/eat) without a chauffeur/taxi arrangement it could be less good compared to other more centrally located hotel... but if you a car/taxi/uber booked.. nothing is stopping you. Staff/service is truly excellent. The second time we went to the Banyan Tree. We like to finish our vacation with a great hotel. This time we stayed 2 nights to enjoy this property. Everything was just perfect. Pro tip: if you want to enjoy a less crowded skybar, have a look at the Saffron instead of the Moon Bar. Our room is perfect, this trip is for birthday celebration, we receive a chocolate cake and sweet bed decoration when we back in room at night, staff are nice and helpful. Location isn’t that perfect as there is a short walk (10-15mins) to any nearby metro/BTS station. Swimming pool looks big in the pic but it’s not. Didn’t have chance to try out the rooftop restaurant/bar this time. Perhaps not the most modern of the 5 star hotels you can find in Bangkok to date. I have stayed here 4 years ago and comparing it to my recent stay, it's now showing its age. However in general the property has been well maintained throughout. I'm not a huge fan of their recently modernised Serenity Club rooms which seem to give a more brighter feeling which probably is fine for most guests. 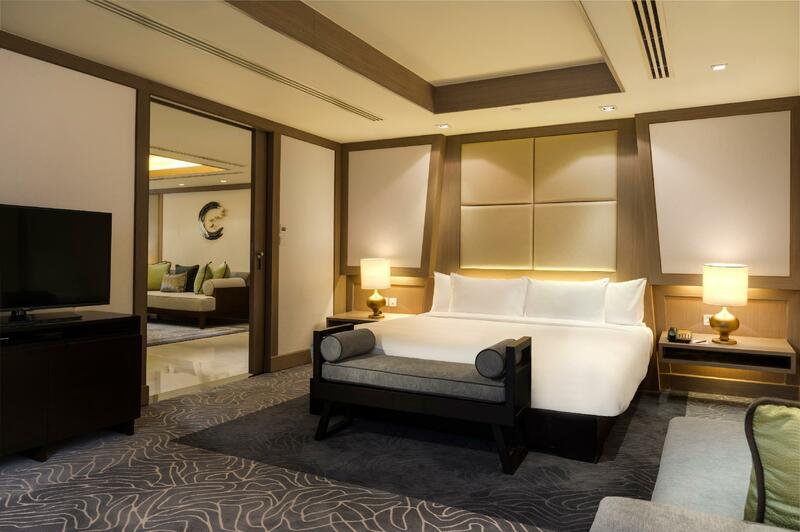 Their older Oasis rooms are much better with dark undertones, giving it a more plush ambience. Cannot fault the service which is always very good and the staff attentive to your needs. I think the rooms price point is spot on but if you want a really luxurious hotel you'll need to pay much more. The place, location, staff, and the hotel facilities %100 amazing. Some rooms get access to club lounge which definitely makes all the difference. Food and beers for free from 10am to 8pm. Yes you got it right 🍺 BEERS for FREE. And in the evening there are nice cocktails and canapés randomly daily specials from different types of food from one of their restaurants. Basically you can have whole day good for free. But since you are in Thailand getting foods everywhere it’s a must. 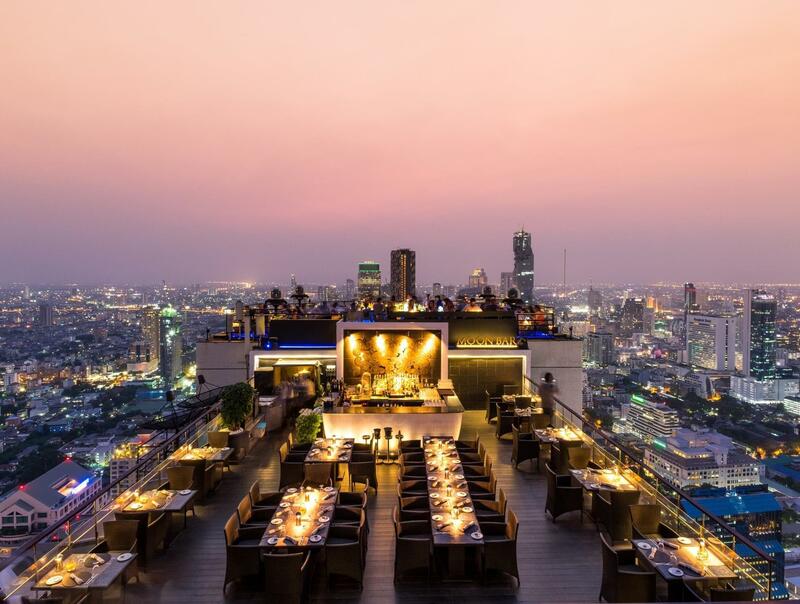 Vertigo bar is also pit-stop that breathtaking place @60th floor with amazing panoramic view from all over Bangkok. The only thing which doesn’t make sense, is that their won’t let you in with shorts. I mean, why such rule? It’s Bangkok, it’s over 35°c, it’s holiday, it’s all supposed to be cool. But then comes the rulers mapping out where shouldn’t be that type of thing. All we need is freedom. This would pretty much keeps in anyone’s mind. Besides believe me, this place is not made to leave regrets. One of the best hotels to stay in Bangkok. Great service and facilities, but unfortunately we did not have a decent view from our room. We looked directly out to the adjourning apartment block which took the experience away. Taxi drivers, Uber and Grab drivers also had trouble finding the location and entrance. Overall good place to stay if you want to pay a premium. We were very impressed by Banyan tree. Had heard about it and wanted to stay there for a long time. It's located right next to one of Asia's best Thai restaurants NAHM. As foodies when the bell boy was able to get us a reservation there even though it was full, we were very impressed. We were upgraded because our room was not ready on time. The spa was really exceptional. And to top it off, we ran late for our flight so we ordered the hotel car( partner was quite impressed with BMW7) they even escorted us for fast track check in so as to ensure we didn't miss our flight and it was a close call. All in all. WOW! Thank you. My wife and I had our very first date at the rooftop restaurant so as it was out third wedding anniversary, we decided to stay at the Banyan Tree to celebrate. Our room was well positioned with a free standing bath over looking the city. The rooms are starting to look a little dated but the staff were excellent and dinner was delicious. We would like to extend our appreciation to our server who surprised us with a cake. We chose Banyan Tree hotel for our short gate-away and also to celebrate my hubby’s birthday. We had a great dinner @Vertigo,first experience on the top of the city.Great foods and scenery,although abit pricey but overall worth for money. Enjoyable stay in this luxurious hotel. Will come again in future. where the hotel is a place of rest. It was clean and my bed was attached, and my snoring made my daughter suffer. When I checked in, I gave him an after-eye. How about a cup of tea when you check out? Nice hotel. Staff were extremely friendly and helpful. Breakfast and evening drink provided great and diverse selections for guests. Pool is a bit small and quite crowded. Opening hours could be extended for the pool and gym. Hotel room is ok, but need some improvement outside room. Waiting more than 20 minutes, though not so much guests. Breakfast are is limited, thus many people needs to wait. Taste of breakfast is also not good, especially drink. Number of elevators are not enough, so need to wait long time, or couldn't get in due to full of people.